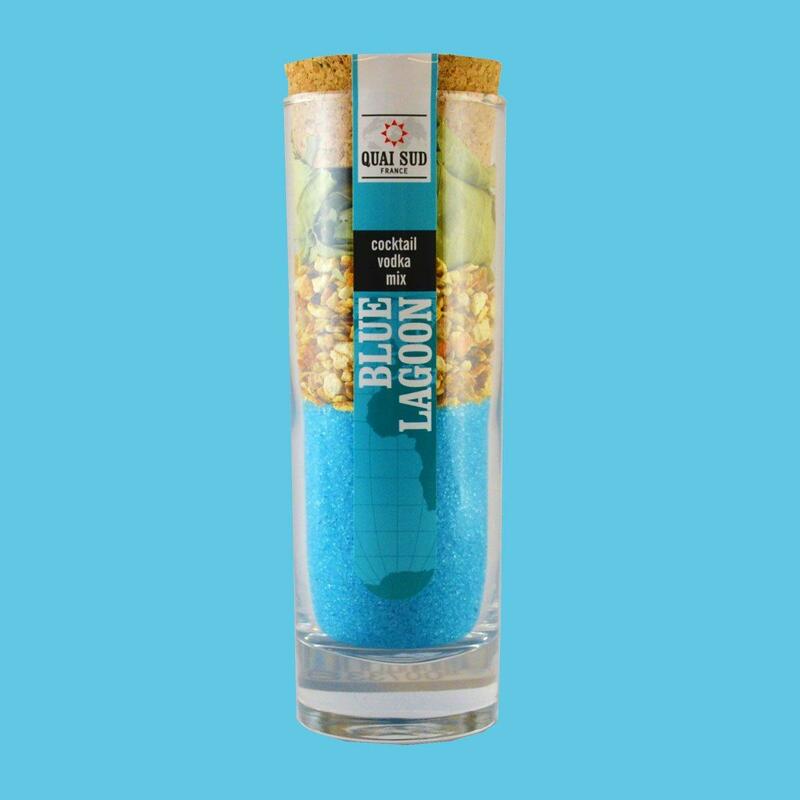 The Blue Lagoon cocktail mix provides you with all the ingredients you need to make this popular fun cocktail. Add the contents to 70cl of vodka, give it a shake and leave to infuse for 48 hours. 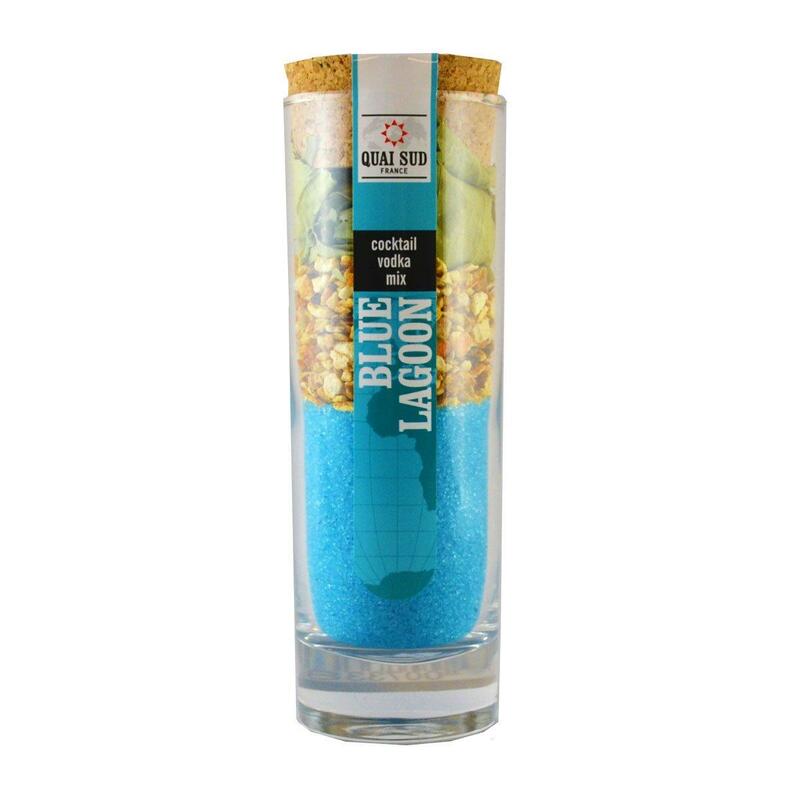 Once the vodka is infused strain a double shot over ice in a highball glass, add orange juice or lemonade and sit back, relax and enjoy this refreshing cocktail. Ingredients: cane sugar , orange peels, bitter orange tree leaves, colouring agent: E133, natural flavours (orange, lemon), acidifier: citric acid.